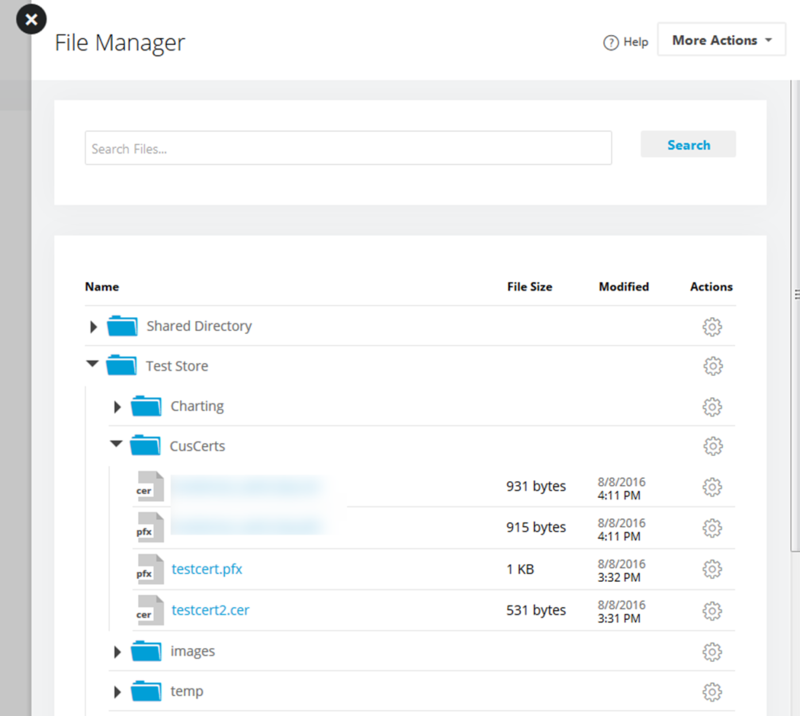 The configuration screen is at https://<store url>/Store/Admin/Tools/AddOns/SAML2.aspx. Attribute names can be configured and the client public key and server private keys need to be defined. By default, the RSA algorithm is used in the commands above. Step 1 uses the Certificate Creation Tool (makecert.exe) to create a self signed X.509 certificate called testcert.cer and the corresponding private key. Step 2 uses the pvk2pfx Tool (pvk2pfx.exe) to create a Personal Information Exchange (PFX) file from a CER and PVK file. The PFX contains both your public and private key. 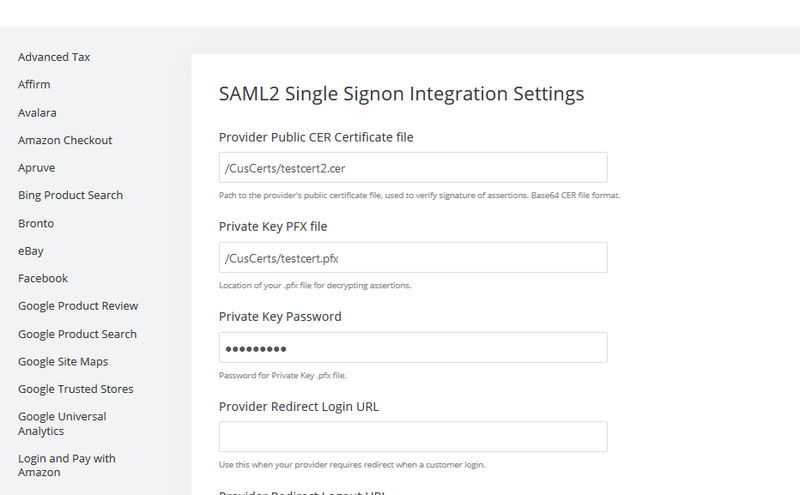 The testcert.cer file created in Step 1 can be uploaded to Google Apps using the Control Panel; and, testcert.pfx from Step 2 can be used to create an X509Certificate2 (.NET 2.0+) instance for signing the SAML response. This is demonstrated in the ASP.NET SSO sample application. -po You have to supply the pfx password or the file will not open!